Looking for an easy DIY puffy paint recipe? It doesn't get much easier than this 1-ingredient DIY Peeps Puffy Paint. 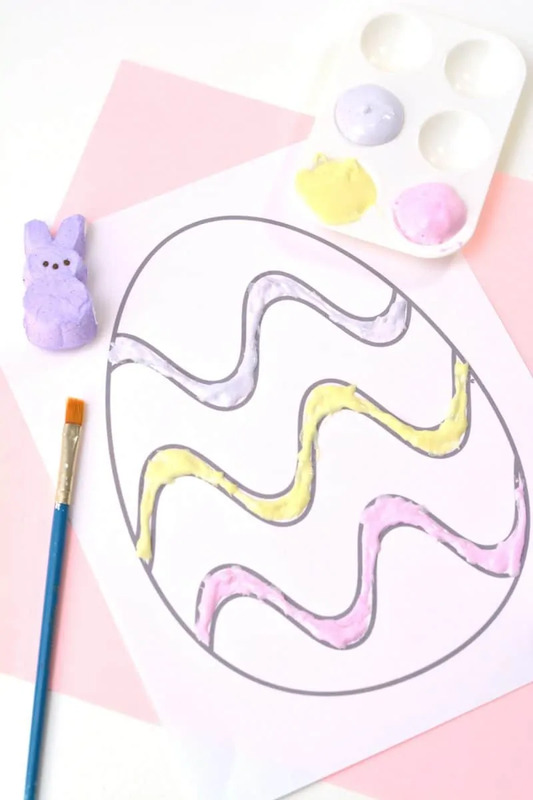 This fun kids activity is perfect for Easter, or for after Easter to use up leftover Marshmallow Peeps candy. Marshmallow Peeps are one of those candies that people either love or hate. 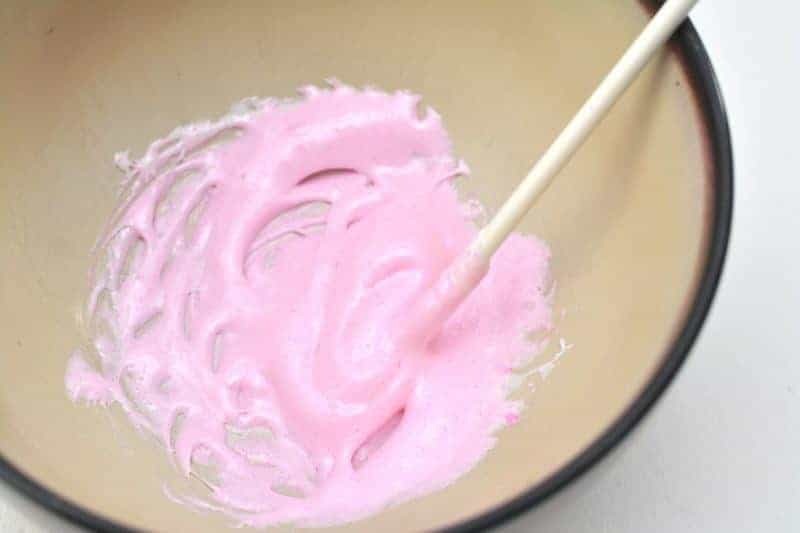 Regardless of whether or not you like these sugary marshmallows for a snack, you will certainly love using them to make this fun DIY Peeps puffy paint. That’s right, you can use Peeps to make puffy paint! 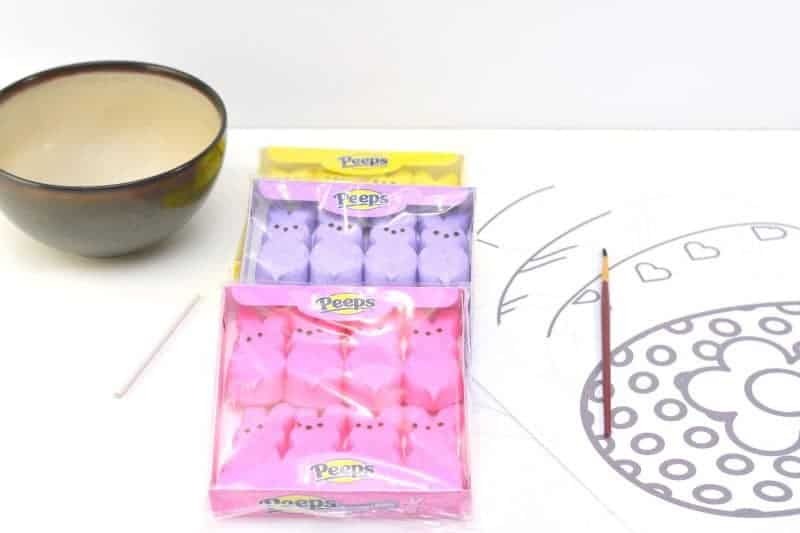 Making DIY Peeps Paint is a fun Easter idea for the kids in the days before Easter to get them in the Easter spirit. 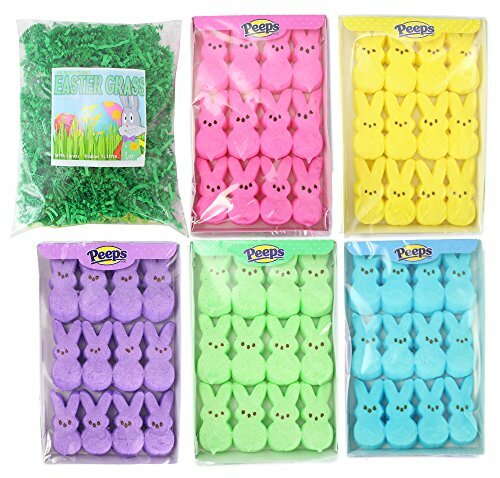 However, it is also a great idea for using up leftover Peeps after Easter has passed. While you could make your Peeps puffy paint with any color Peeps that you would like, I would suggest using Peeps in a variety of colors so that you can make a few different colors of puffy paint. 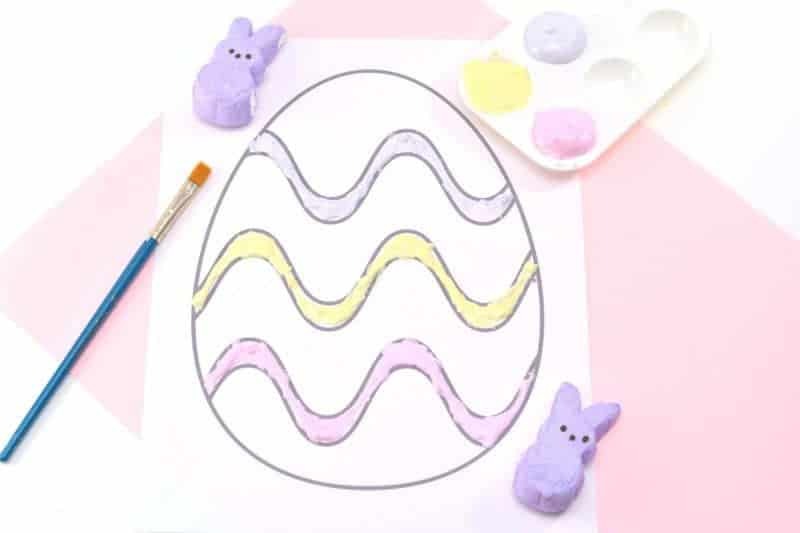 The best part of this Easter craft is that it’s so incredibly simple to make as you will see in the instructions below. 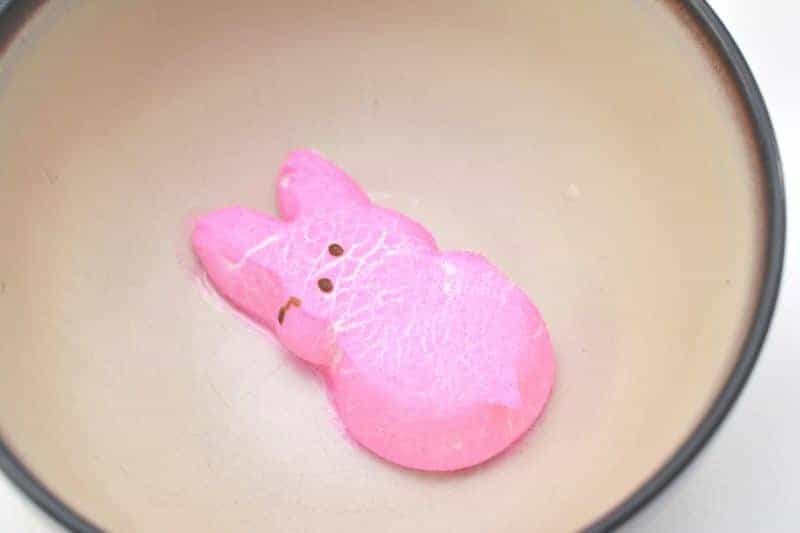 Microwave a single Peeps candy for 10 seconds in a microwave safe bowl. You will see that the Peeps will puff up to about 3 its normal size. Give it a few seconds to go back down until it is just a little bit larger than normal. Stir the heated Peeps. It should puff up into a smooth and tacky substance that can be applied to a paintbrush. If all of the marshmallow is not melted, microwave for an additional 5 seconds. 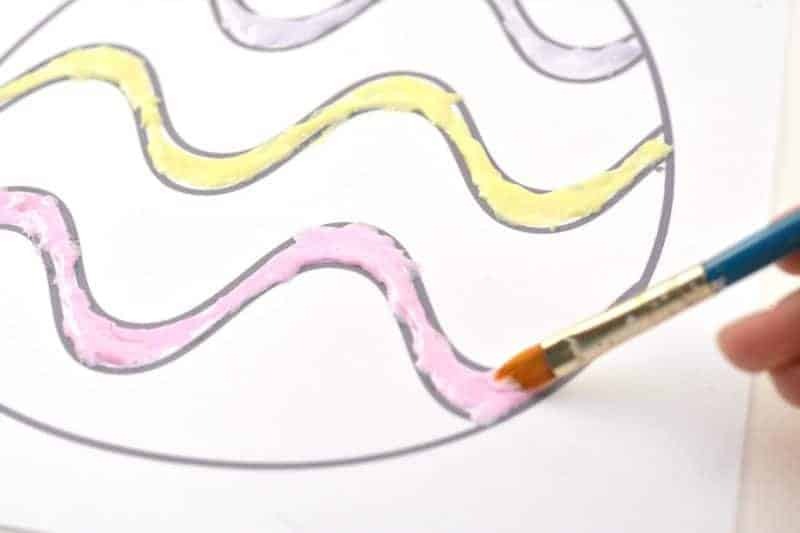 Use a paintbrush to decorate a printable Easter egg coloring page or a sheet of plain paper. As the Peeps candy cools down, it will become more difficult to work with. When this happens simply return the candy to the microwave an additional for 5 seconds. 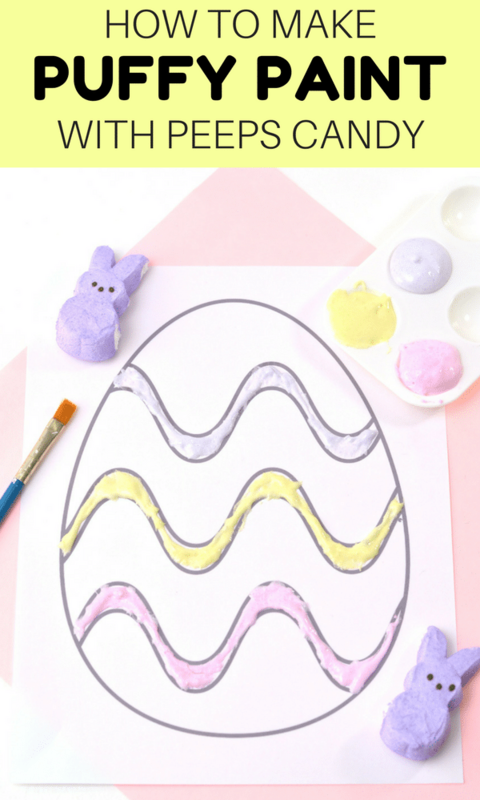 How to make your own puffy paint out of PEEPS! 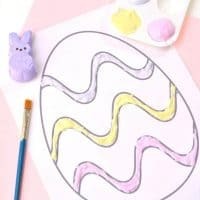 Perfect as an Easter activity for the kids. In a microwave safe bowl, microwave a single Peeps bunny for 10 seconds. Heating the marshmallow peep will cause it to puff up. Allow it to sit for few seconds to return to a slightly larger than normal size. Stir well, until the melted Peeps has a smooth consistency. If all of the marshmallow is not melted, microwave for an additional 5 seconds. 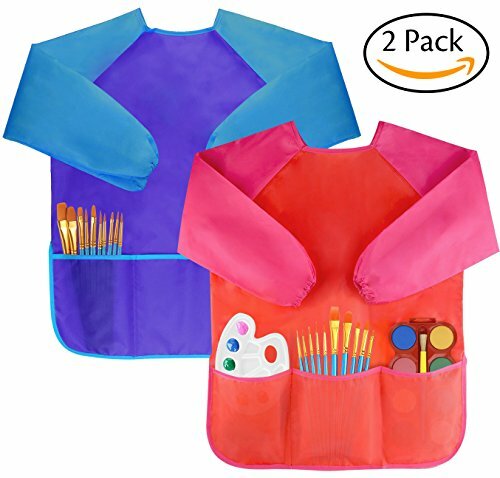 Use a paintbrush to apply your homemade puff paint to paper and enjoy. As the puffy paint cools down, it will become more difficult to work with. If this happens, just pop it back in the microwave for 5 seconds. This is not the type of puffy paint that can be made ahead or stored. 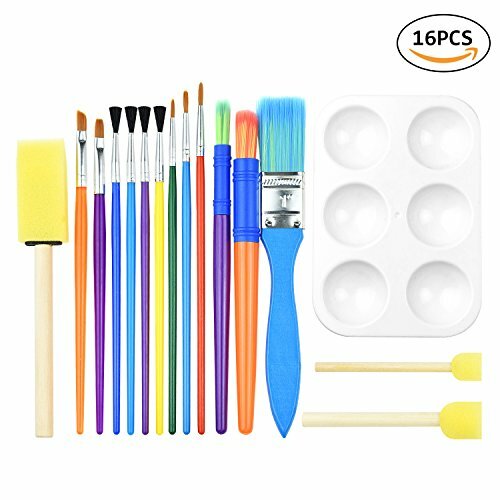 I recommend making the paint and use it as you go along, working with one color at a time so that the paint does not cool down too quickly. What a cool idea! I would never have thought about that. And what a great way to use up extra candy since so much tends to get tossed after Easter in our house.